Well this has to be one of the nicest wing tips that we’ve seen in a long time. Fresh from the latest Canali collection, this brogue stitched dress shoe is the perfect compliment to your office or evening wear. 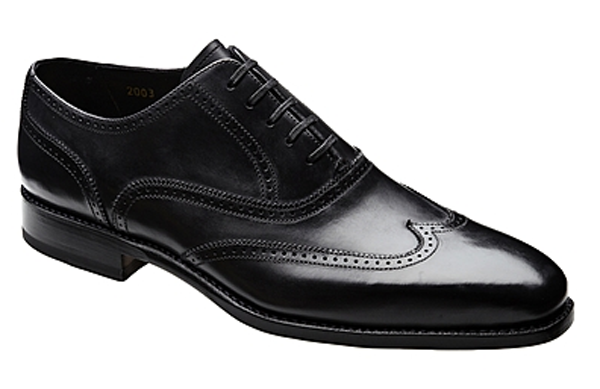 With little stray form a traditional wing tip, Canali lets their remarkable quality speak for itself. The five lace holes make for a nice deep opening allowing more shoe than sock to show when you sit down. A true symbol of success, this welcomed return of the brogue is best celebrated with these wonderful Canali shoes. Available online. This entry was posted in Footwear, News and tagged Black. Bookmark the permalink.